DSTRYRsg: Destroyer Submission Grappling and Brazilian Jiu Jitsu: GIVING THANKS TO OUR JIU JITSU FATHERS. GIVING THANKS TO OUR JIU JITSU FATHERS. It was Father's Day today (at least in the USA), so we figured it's as good a time as any to thanks to the fathers (and inventors) of Brazilian jiu jitsu. 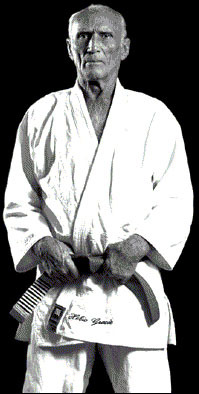 Namely, thanks to Conde Komo (i.e., Mitusuyo Maeda), Carlos Gracie (Sr.) and Helio Gracie. Pretty sure without these forefathers, we'd all still be practicing our bo staff katas in front of the mirror and working on perfecting our jumping side kicks for the Demo Team (note: I did this for years and have the nunchucks to prove it). Thanks for the armbars and triangles, Fathers. Haha LOL@ Demo Team and bo staff...oh God, sooooo been there too.